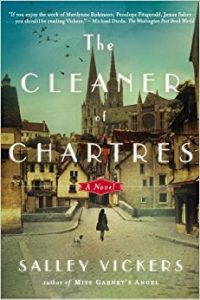 Renée, the concierge of a grand Parisian apartment building, is easily overlooked due to her appearance and her demeanor. Resident twelve-year-old Paloma is determined to avoid the pampered and vacuous future laid out for her and decides to end her life on her next birthday. Both will have their lives transformed by the arrival of a new tenant. Did you like this book? Why or why not? And do you agree with Paloma that this question is central to discussing or thinking about a book? 2. The story is presented through the interplay of two narrators. Would it have been as effective (or more, or less) if we had only one POV? Why not Kakuro Ozu as well? Would you have liked to experience his voice more directly? 3. What do Paloma and Renée have in common? Each has a secret life and a desire to stay hidden. How so and why? 4. What did you think of Renée’s double life? Would you agree with her description? Would Ozu? 6. Were there any of Paloma’s “Profound Thoughts” or “Journal of the Movement of the World” entries to which you found yourself especially responding? 7. What do Paloma and Renée teach each other? Does Ozu teach and/or learn as well from them? 8. In what ways is Paloma still a child? Would you say she is neglected? 10. How is social class reflected in this book? 11. What is the “goldfish bowl” and how is it important to the story? 12. 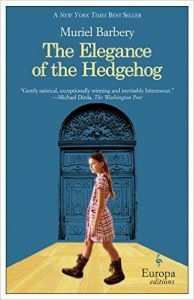 How is identity also a theme throughout The Elegance of the Hedgehog? Think about how Renée might define herself as well as Paloma’s observations about the people around her. 13. Is Ozu a fully-realized character, or is he primarily a catalyst for the two women? 14. How did Renée’s backstory (her husband, her sister) contribute to her understanding of herself? To our understanding of her? 15. Is this a romantic story? 16. How did you react to the shocking event at the end? Why do you think the author chose this development and had it unfold in this way? 17. Would you have preferred a happier ending? 18. Did any of Renée’s parting words resonate with you? What of Paloma’s epiphany and, similarly, her last paragraph? 19. Did the book inspire you to explore literature, art, film, music, manga, language, or philosophy? 20. 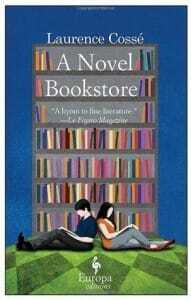 Would you describe either the book or the characters as pretentious? 21. Did the book surprise you at all? In what ways? 22. This book has been translated into over 30 languages. What do you think accounts for its popularity? Did the fact it is a translation affect your reading of the book? 23. Where is humor brought into the story? Is it well-chosen? Ill-chosen? Distracting? Needed? 24. Have you seen the film The Hedgehog? How successful is it as an adaptation? Did you have any reaction to the casting or directorial choices? 25. How might you describe or recommend The Elegance of the Hedgehog to others? What other works might you recommend to one who liked it?